JP & Brimelow first opened for business in Didsbury in February 1998. 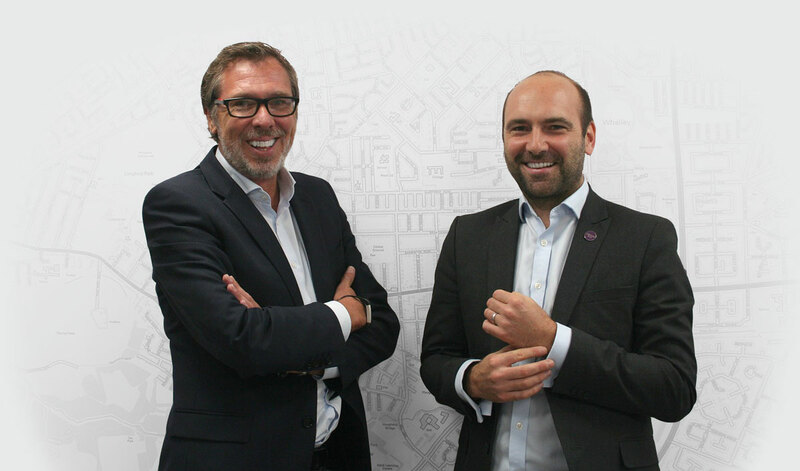 Born out of frustration working for large corporate estate agents, John Pratt and Nick Brimelow joined forces to open a fully Independent Estate Agency which could offer significantly better levels of service to buyers and sellers alike. The original plan, scribbled on the back of a beer mat in a pub (!) was simplistic in a view of taking high calibre staff coupled with leading-edge technology and exceptional local knowledge to provide a professional, courteous and knowledgeable operation. Now with two market leading, centrally located sales offices in Chorlton and Withington, we remain committed to those ideals and true to our original ideas. Nick Brimelow has now retired from the business in June 2017. Central located offices enables us to offer our clients an efficient and knowledgeable local service second to none, and whilst we remain small enough to retain our identity, with the advancement in technology we are able to provide a national / international exposure. We believe we work incredibly hard on behalf of all our clients, but are not complacent and are always looking for ways to improve and develop the core business which has proved such a success to date. With a combined property experience that is second-to-none, the owners of JP & Brimelow have exceptional skills and knowledge. The JP in JP & Brimelow, John has been based in Withington and the surrounding area for over 24 years. With this in mind, he understands the unique nature of South Manchester and is therefore best placed to market and sell those homes of distinction. Professionalism, experience and enthusiasm towards the property market, make John an exceptional negotiator, whilst always offering the highest levels of customer service available. Moving with the times, constantly keeping a breast of new technology and working with the local community. Having sold some of the most individual properties in South Manchester over the last 16 years, Eddie is 'Mr Chorlton' and has gained both valuable local knowledge and experience when it comes to selling New Build developments throughout South Manchester. His job is to stay one step ahead, which we do so with high levels of customer service and the same faces, who of course you trust as you know they’ve been schooled in the JP & Brimelow way. A mature, thoroughly trained and experienced team which has the ability to cater for all surrounding areas. JP & Brimelow has consistently stood out in the South Manchester market. Here at JP & Brimelow we strongly believe in doing our bit for the local community, clubs, teams and supporting many varied charities over the past 15 years. Over the years amongst other things staff members from all offices took part in a tandem sky dive, 1/2 marathons, 10k walks, triathlons, golf days and many charity auctions. in the local area we know what a bespoke service we have to offer.